If you own or manage a business, you likely look for ways to attract new clientele on a regular basis. Signage is highly effective when it comes to promoting your company’s visibility and increasing foot traffic. Here are a handful of tips on how to create business signs that will stand out in your community. As you design your business sign, keep in mind that it needs to compete with the ones of other neighboring commercial properties. Bold colors and neon lighting will make your sign stand out. Dimensional lettering will create a dramatic, 3D effect that attracts the eye. Your sign should be easy to read within a matter of seconds. Skip italics or script fonts, since they reduce legibility. Instead, opt for big, bold letters that attract the eye. Add a border that will increase reading speed and create a focal point of the text. LED signs are excellent for businesses and may include a combination of text, graphics, logos, animations, and videos. These illuminated, multimedia solutions are extremely engaging and entertaining to passersby. Include LED message boards that allow you to display text, such as daily specials or inspirational quotes. As you think about where to place your sign, consider possible obstructions. New construction, for instance, may block the view. You also don’t want your sign to get lost among those of other businesses. 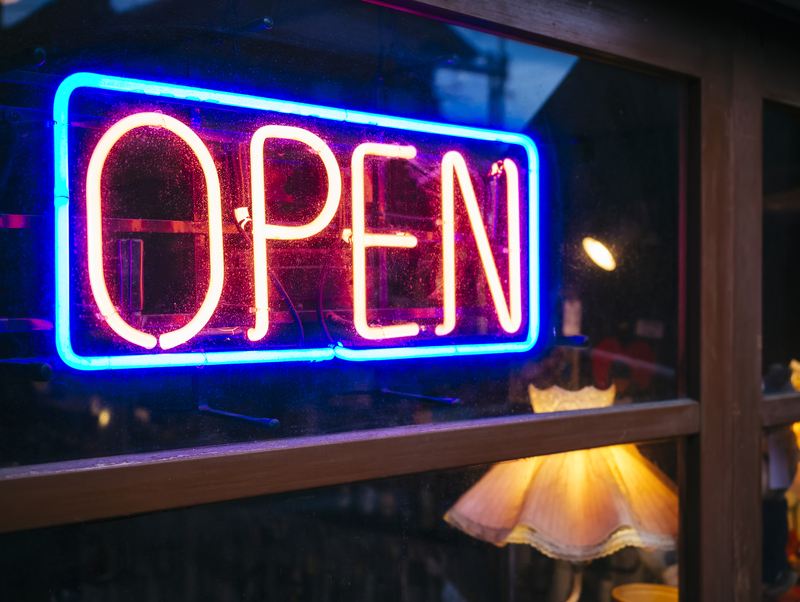 Make sure to position yours for optimal visibility, especially if your storefront itself is out of sight of main roads. When you’re ready to get started on custom business signs, choose Rodgers Sign Service for the job. Since 1962, they have provided installations, maintenance, and designs to satisfied clients throughout Elizabethtown, KY. Call (270) 765-8319 to get a quote on LED message centers, and visit them online to view a gallery of their work.